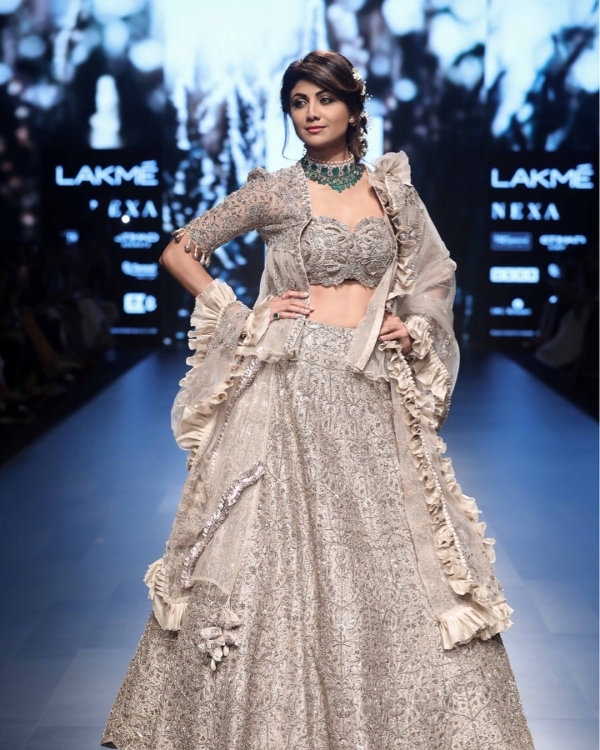 Lakme Fashion Week is the most sought after event that happens twice every year. Everyone is equally excited and curious to know which celebrity will become the showstopper for which designer. Just like each time, it was hard to not spot a celebrity star walking the ramp for their favourite designers in front of the media. Day 1 started with Shahid and Mira Kapoor walking the runway wearing Anita Dongre and didn't they just look drop dead gorgeous. 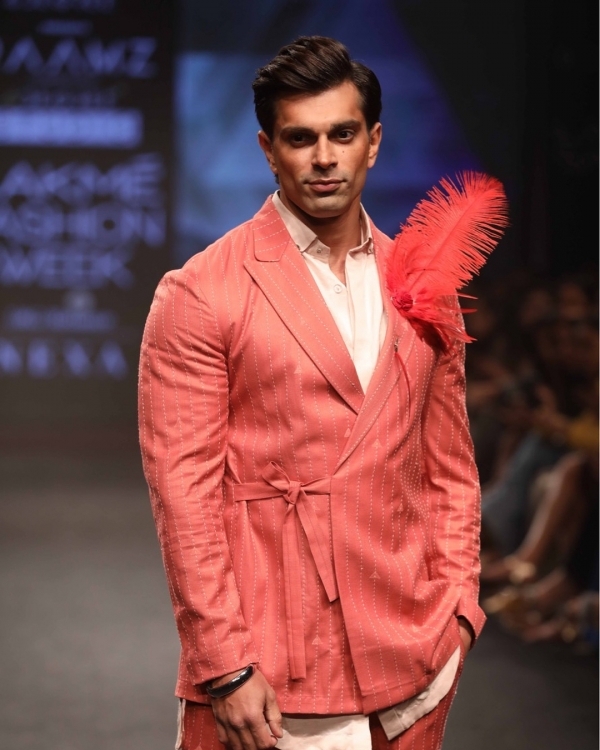 As the week progressed, we saw Bipasha Basu with her beau Karan Singh Grover as show stoppers for different shows. The former walked for Reshma Kunhi and the latter walked for Raamz and Chandrika Raamz. We also saw some never ageing divas walking the ramp in pastel Indian ethnic attires namely Sushmita Sen for Kotwara, Shilpa Shetty for Jayanti Reddy and Karisma Kapoor on Ravi Bhalotia. The list doesn't end here. We also spotted Disha Patani walking for Shriya Son showcasing a ruffled look. Kangana Ranaut looked no less than a queen in Shyamal and Bhumika's showcase in an embroidered ivory evening gown. 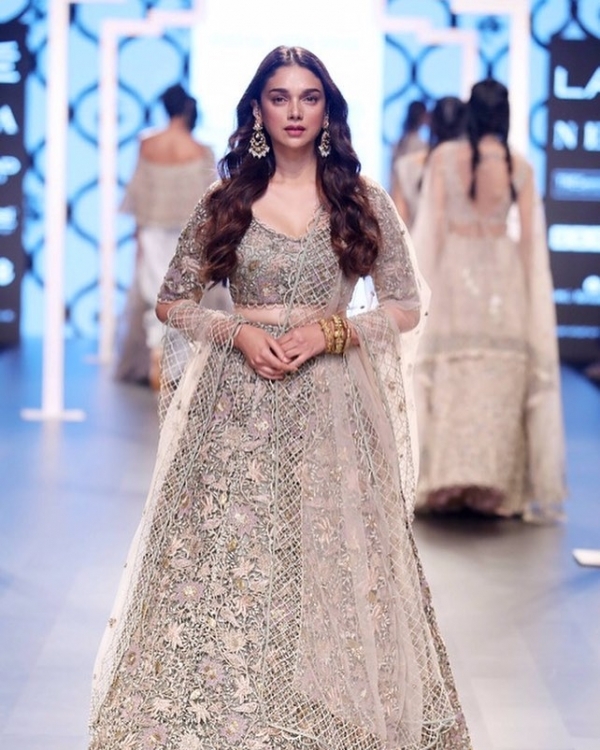 Also, the B town hotties - Diana Penty was spotted in an earthy Punit Balana look, Malaika Arora in a black De Belle creation and Tamannaah Bhatia in a shimmering red lehenga. The showstopper of the Grand Finale by Anamika Khanna was none other than Kareena Kapoor Khan. 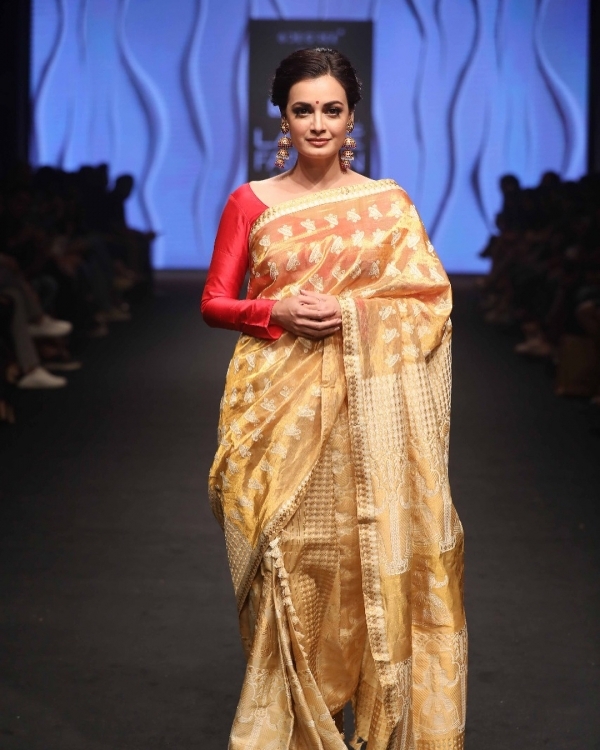 She looked ravishing in a modern-age sari drape- in which a combination of a palla and pants totally stole the show.